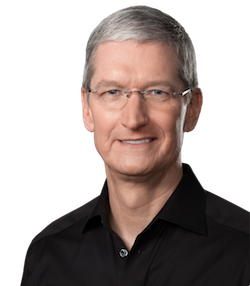 Apple CEO Tim Cook will deliver the 2017 Commencement address at the Massachusetts Institute of Technology, the university announced today. "Mr. Cook's brilliance as a business leader, his genuineness as a human being, and his passion for issues that matter to our community make his voice one that I know will resonate deeply with our graduates," MIT President L. Rafael Reif says. "I am delighted that he will join us for Commencement and eagerly await his charge to the Class of 2017." In a statement, Cook said he was looking forward to speaking to MIT's graduating class in 2017. The Commencement will take place on Friday, June 9. "Apple stands at the intersection of liberal arts and technology, and we're proud to have many outstanding MIT graduates on our team," Cook says. "We believe deeply that technology can be a powerful force for good, and I'm looking forward to speaking to the Class of 2017 as they look ahead to making their own mark on the world." Cook has previously given Commencement speeches at George Washington University and Auburn University, his alma mater. "You're going to need a lot of dongles in the real world." Tim has only volunteered to do this because he thinks MIT means Make It Thinner. "Brilliance as a business leader"? - perhaps they know a different Tim Cook? It's been a bumpy, downhill ride ever since he's come on board. Nothing will ever, ever beat Steve Jobs' 2005 Stanford Commencement Speech. I feel bad for MIT grads. 2 hours of listening to Timmy go on about his clogged pipeline. I dunno. I think Tim Cook will be a pretty inspirational speaker. He comes from the Deep South, heads up the most well known firm in the world which is also incredibly progressive in its views and is the first openly gay CEO of a Fortune 500 company. All the gripes about Apple's product line and whatnot aside, he's a pretty fascinating guy and I reckon will knock this out of the park. Steve Jobs was a man that changed several industries and made a huge impact in the world. Tim Cook is just a wall street CEO that likes to play social justice warrior and made a watch. I would never be interested in anything he has to stay. Steve Jobs, I would pay money to hear him speak. He better announce the 2017 Mac mini! "Apple stands at the intersection of liberal political activism and profit..."
Is it just me or it is becoming the norm for Americans to express even the most common things using over the top superlatives? As a European, or even worse, Danish, i find it hard to believe that everything magical, epic, extraordinary, courageous, genius, brilliant and so on. Which phrases are left when you have to describe something that really deserves these terms? Nonsense. I stopped reading there, but I could tell where the comment were going. Almost anyone on this forum could have taken over where Steve left this to Tim Cook and done the same thing.